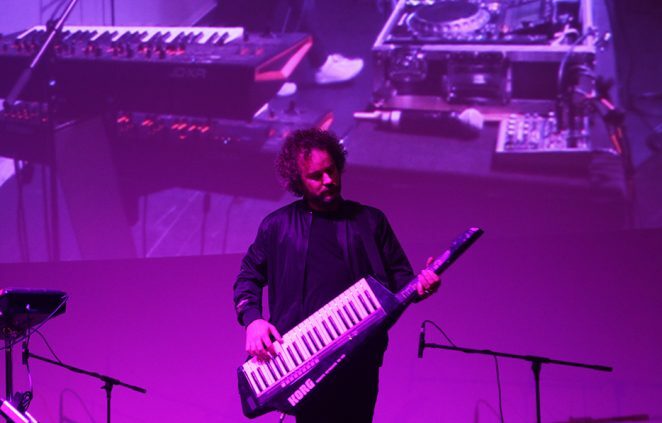 If you’re going to launch a synth fest, you may as well do it in style and that’s exactly what happened last Friday night in North Melbourne. 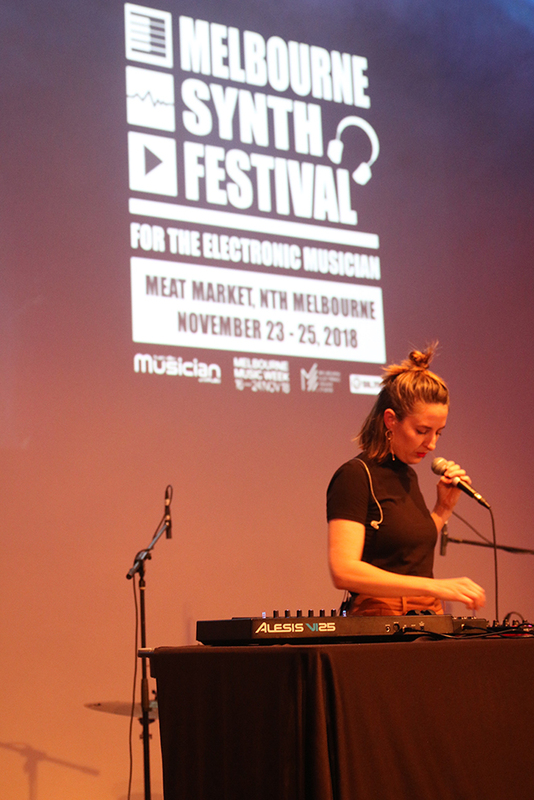 The inaugural Melbourne Synth Festival kicked off with a fabulous opening night concert at the unique Meat Market creative and performing arts space. 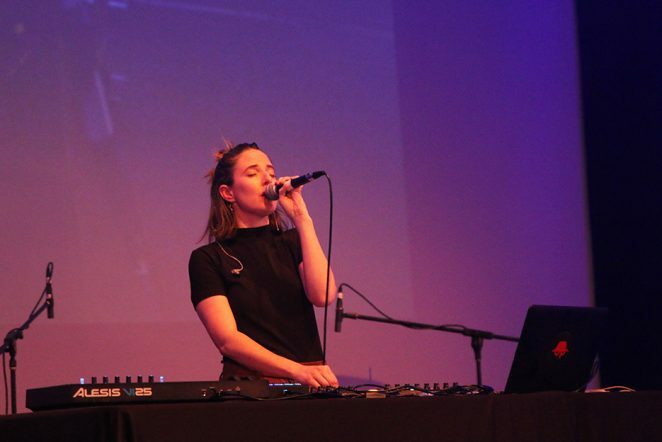 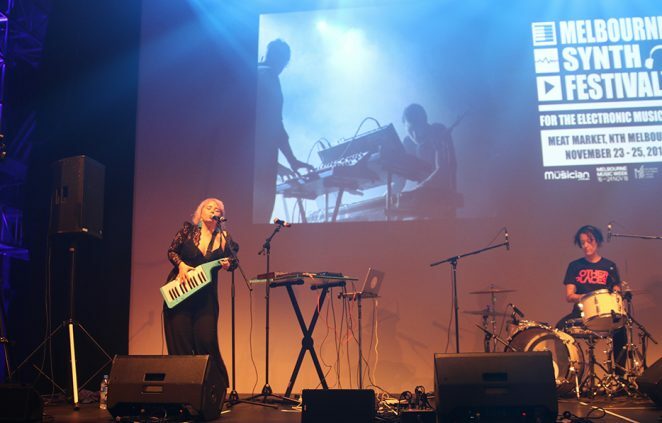 Melbourne-based vocalist, multi-instrumentalist and electronic producer Beatrice had the honour of opening the show, presenting the audience with an exhilarating set of her exotic, ambient beats. 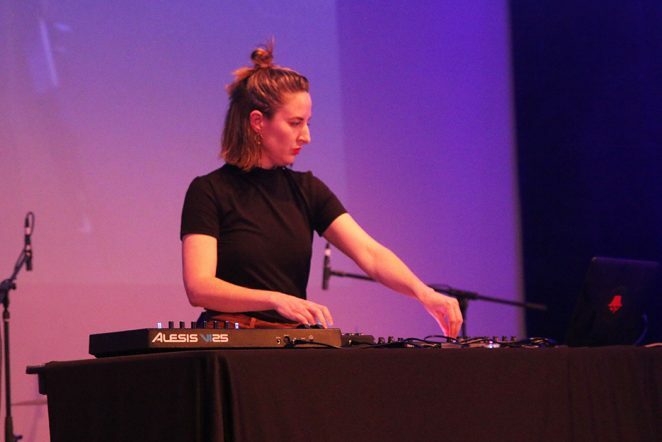 Beatrice had only landed back in Australia days before, after touring Europe with her other project Haiku Hands and took no time to stride into a groove. 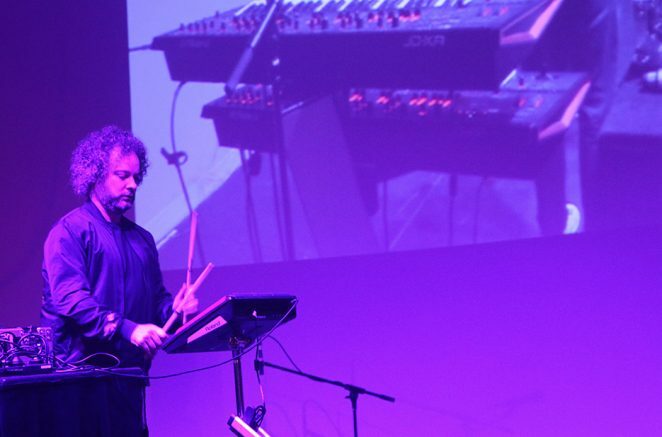 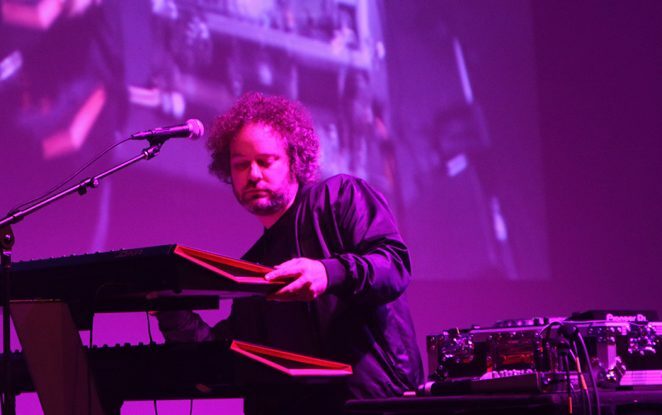 David Haberfeld aka Honeysmack set up his rig in front of the stage, allowing the audience to surround him as he menacingly paced the room, summoning the spirit of his punk influenced acid house rhythms. 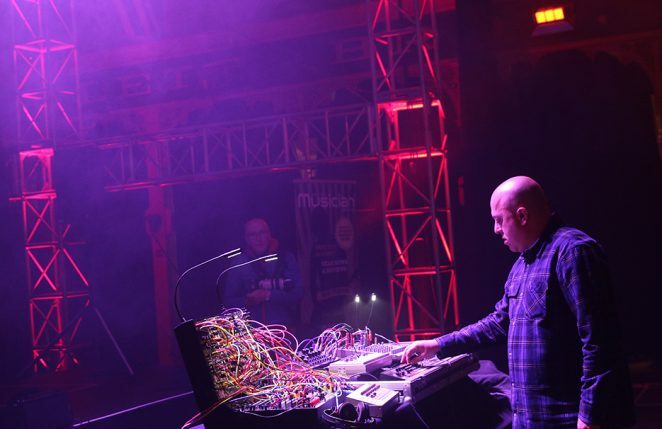 Using all-analogue, old school gear, the legendary producer, composer, performer, DJ, promoter, academic and educator built a pulse and splashed his rude synth sounds all over it. 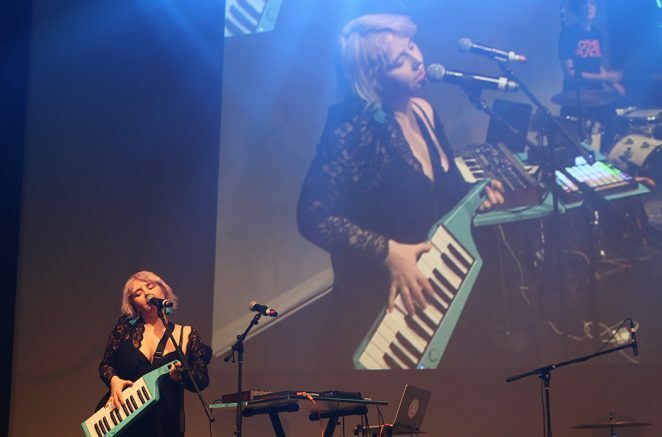 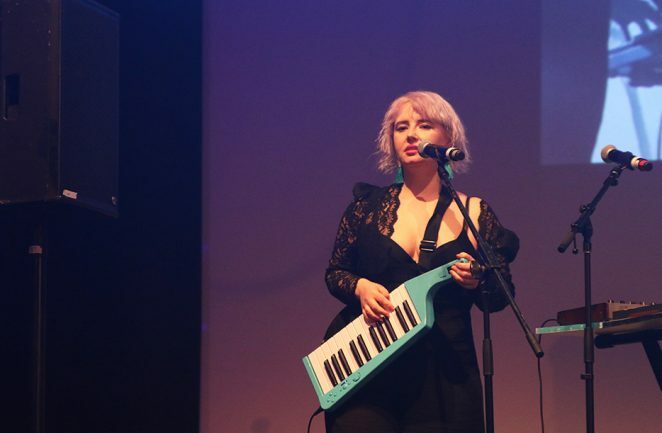 The delightful Emah Fox took to the stage next, armed with a teal coloured keytar and delivered a powerful set of melodic yet intense synthesiser pop. 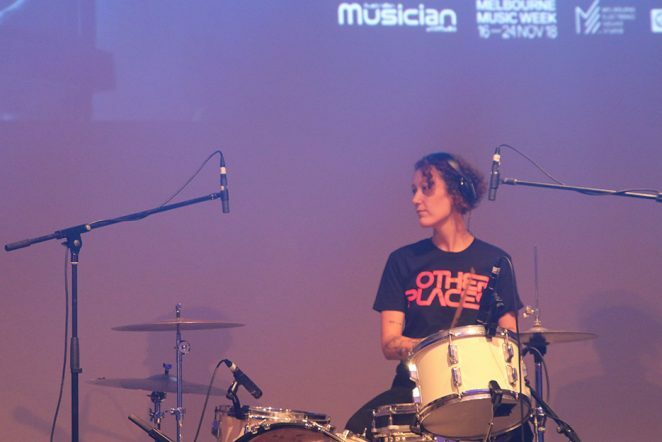 Backed by Nat Grant on drums, the pair conjured an explosive blend of rhythms and beats, taking the audience along with them for the ride. 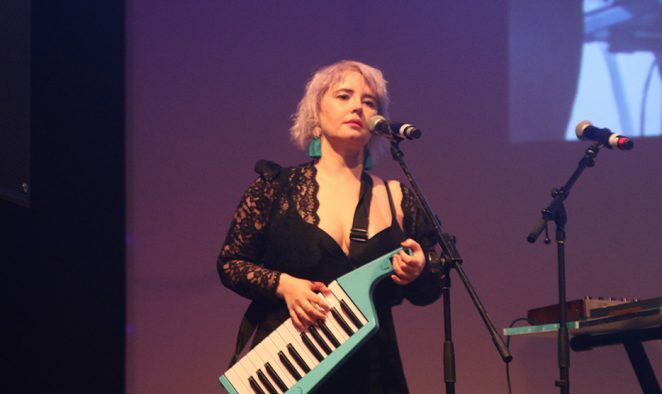 As Emah told Australian Musician in our pre-festival interview, she hopes to dedicate 2019 to creating a new recording of her original material. 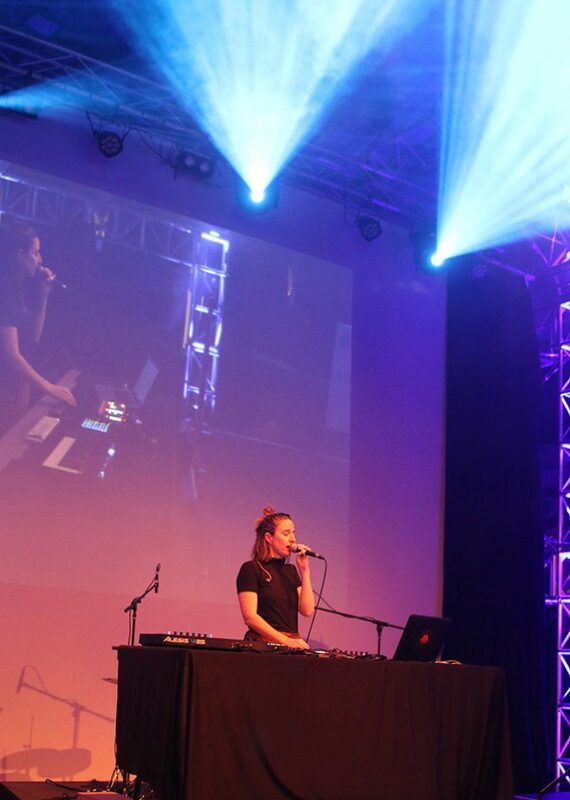 Judging by the strength of her performance tonight, Emah Fox is going to an artist we’ll be hearing a lot more of in the new year. 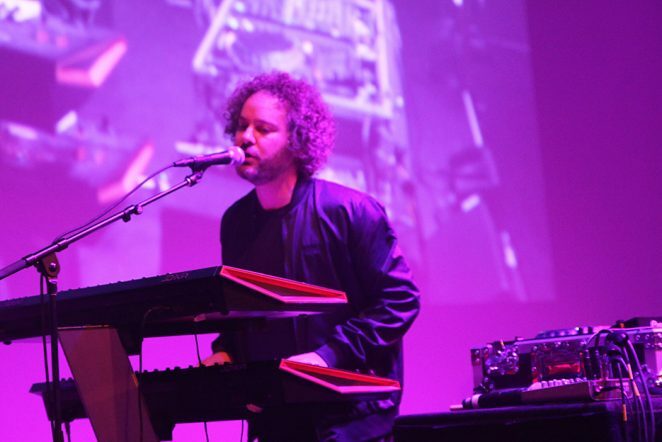 With a double bank of keyboards, keytars and electronic drum pads, Luke Million was always going to make a lot of noise. 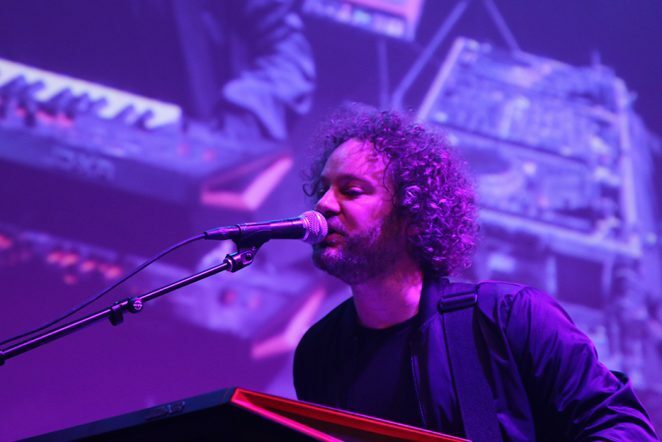 If much of the music tonight had been for the mind, then Luke was out to ensure that everyone’s feet got a turn too. 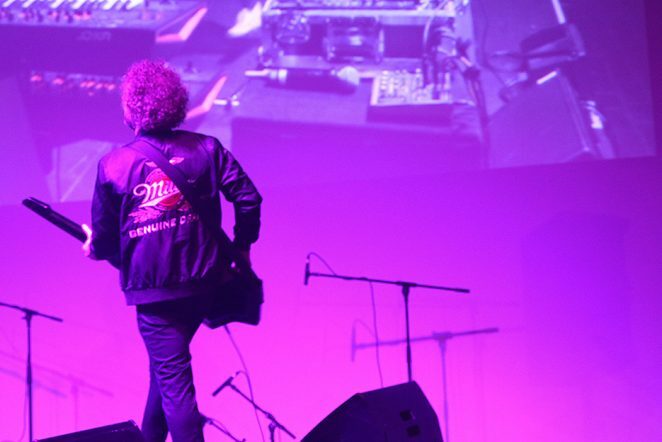 Generating loud, brash, 80s style sounds, it wasn’t long before the night turned into a joyous dance party. 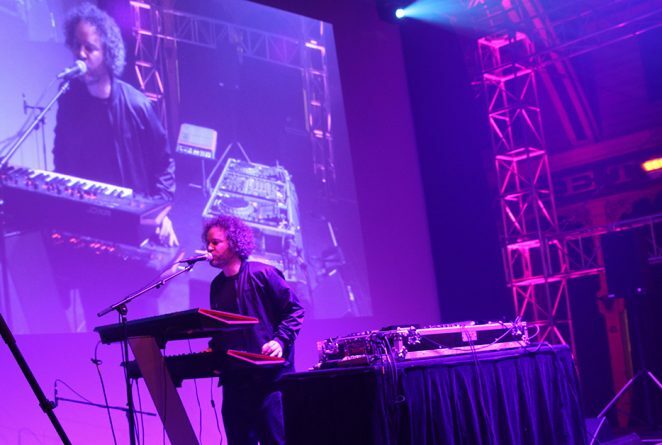 Million’s Triple J cult classic Arnold set the crowd alight, as he directed the crowd to bob up and down to the command of Schwarzenegger’s voice. 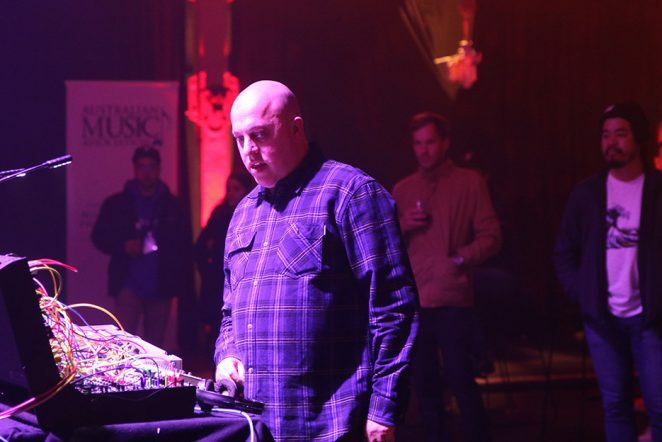 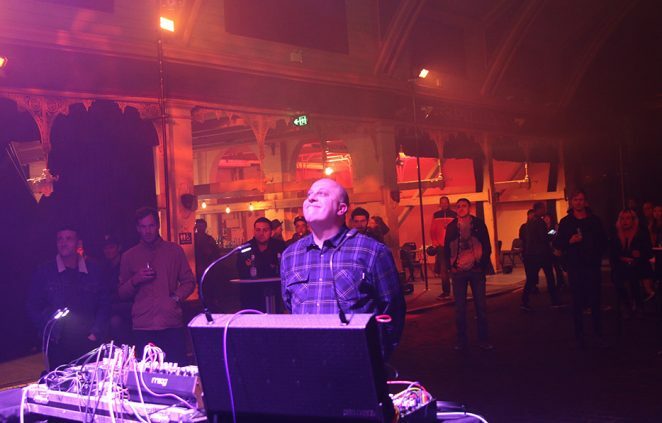 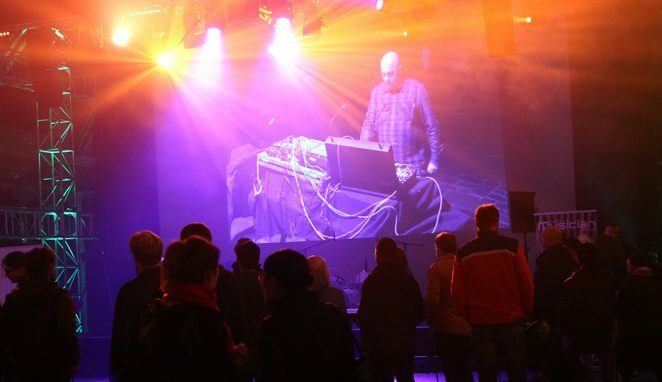 Luke Million had came, saw and conquered, leaving the audience to chill down and contemplate a weekend of more performances, gear galore and enticing workshops at the very first Melbourne Synth Festival.